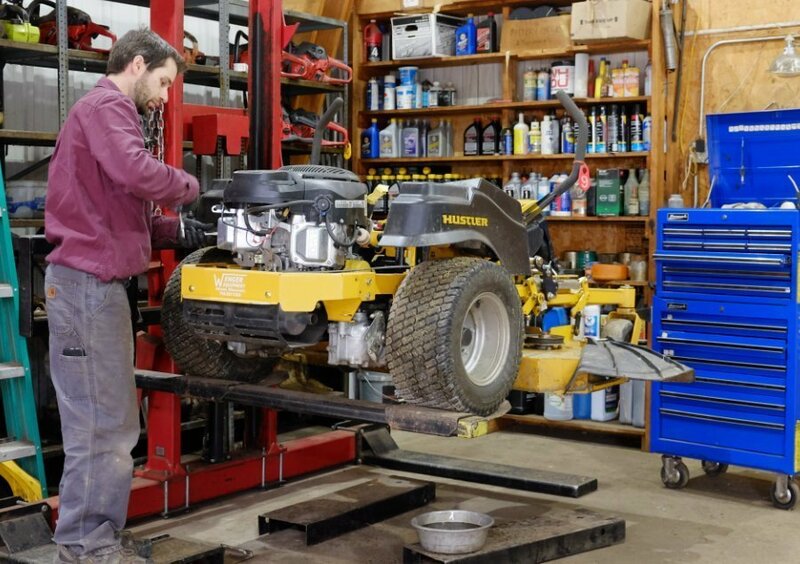 Whether you are needing parts for your mower, a tune-up, or advanced diagnostics our team at Wenger Equipment is here to help. Our dealership has a full service shop, equipped with all the tools needed to take care of your service needs. We have over 30 years of experience servicing outdoor power equipment. When you need it fixed right the first time, we are here to help. Day in and day out, farmers, landscapers, construction companies, loggers and home owners count on us to keep their equipment running so they can do their jobs. We do everything from tune-ups to complete over-hauls. We also offer lawn mower blade sharpening and chain saw chain sharpening services. We are thankful to have earned a reputation among our customers for the best service in the area. If you would like to purchase parts, please visit us at our store located near Athens, Wisconsin or call us and we will be happy to assist you. Click on the service packages below for detailed information and to see our preferred customer pricing. Preferred Customer price is just $129.95. Did you know? Any new mower purchased from Wenger Equipment automatically qualifies for our preferred customer pricing. Any other repairs needed will be billed at regular shop rate. Flat rate price is for labor only. Parts vary by machine and will be billed separately. This job applies to all 2008 and later residential Hustler zero turn mowers that have serviceable transmissions. This job will also cover most other brands of residential and entry level commercial zero turn mowers with serviceable Hydro Gear transmissions that were built after 2008. If your mower is not a Hustler call us with your model so we can determine which transmissions your mower has. Did you know? Any new chainsaw purchased from Wenger Equipment automatically qualifies for our preferred customer pricing. Did you know? Any new string trimmer purchased from Wenger Equipment automatically qualifies for our preferred customer pricing. Did you know? Any new snow blower purchased from Wenger Equipment automatically qualifies for our preferred customer pricing. Mileage is calculated using google maps from our shop to your location. Example: If your equipment is 13 miles from our shop the total charge for pickup and delivery will be $40.